I was thinking about clubbing these two Novel Cure Challenge Reads together and it only made sense – considering how similar the protagonists are. Anna Karenina and Emma Bovary are bound to be clubbed. I remember reading and rereading these books for the longest time and somehow in a very strange way, I could relate to them. I am not married. I am not a woman. There has been no instance of adultery then, of course, but still there is some affinity which I cannot name or pinpoint. I am only too glad to have reread these books. They certainly brought back a lot of memories. We all know (or at least most of us do) how it works out for these feisty women. Both stuck in unhappy marriages. I think it would be apt to call their marriages boring, or rather the men they are married to. Charles Bovary almost comes across as a dullard who could not care less about Emma’s youth or her desires or what she wants from life. 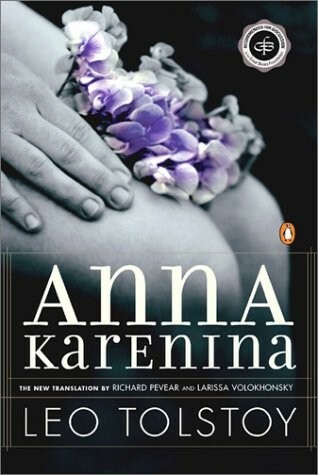 Anna Karenina on the other hand has everything she could want, but somehow the all-consuming love is just not there, till she meets Count Vronsky. Emma’s life is ridden with men – her father, her husband, her neighbour, the greedy moneylender, the pharmacist, the pharmacist’s assistant, and her two lovers. She knows it will only end in disaster and yet she wants it all, just like Anna. Anna knows the Russian societal norms and yet she will go to any length to get what she wants. Both these nineteenth-century heroines risk it all, for there is only one life to live. All they want is passion. They want love and they just keep searching for it, everywhere they can. Even if it means they have to end it by giving up their lives. Every time I have read these books, I wished they would come out of it alive and they don’t. I know it but I want to believe that everything works out for them, though it does for some time. These novels were also written in times when both countries, Russia and France were going through changing times. Maybe that is why they were considered so radical for their time. I have never intended to read these classics with a lot of analysis. For me, they are just testimonies to what I connect to relate to – all the unrequited love, the trapped lives dictated by hypocritical societies and the alienation of the self, despite being loved and surrounded by many. The anguish of the women comes through superbly in both these books and to me what is also surprising is that these books were written by men. Men who were very strong in their own way and manner and extremely eccentric as well, not to mention, womanizers – maybe that is why they could capture the feminine essence with such aplomb in both these works. The translations again, when it comes to classics such as these matter the most. 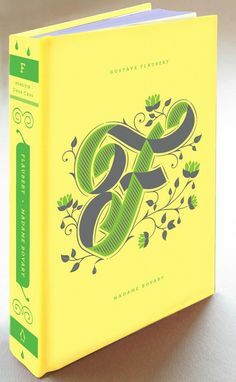 Richard Pevear and Larissa Volokhonsky (Anna Karenina) and Lydia Davis (Madame Bovary) have done more than just a wonderful job with the words and their interpretation. I think for me most of the time loving these two classics have come from these translations. And yes I also think that perhaps there is no cure for adultery. You have to go through it. There is no moral ground. Anything for happiness, I think. This entry was posted in Authors, Authors I Love, Books, Gustave Flaubert, Leo Tolstoy, Life, Literary Fiction, Penguin Books, Penguin Classics, Penguin Drop Caps, Review, women and tagged adultery, anna karenina, france, gustave flaubert, leo tolstoy, madame bovary, Penguin Classics Deluxe Edition, Penguin Drop Caps, Russia, The Novel Cure Reading Challenge, Women on March 17, 2014 by thehungryreader.